Right exercise - what is the correct and the wrong way to exercise? Right Exercise - Wrong Exercise? Ever wonder about what is supposedly ‘right exercise'? Is it the right form? Am I doing this the right way? Do I look OK doing it? Why can't I do what others can? In 1990 I was in China and I'd gone for an early morning jog in Guilin only to find rows and rows of Chinese adults all gracefully doing Tai Chi while the younger adults did ballroom dancing alongside a river. I was mesmerized by the sheer beauty emanating from the sense of peacefulness that radiated out from these row upon row people all moving in mindful and beautiful silence. And given the increasingly recognized benefits of inner peace and mindfulness - in themselves they are health measures. 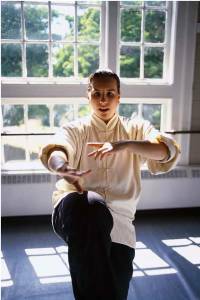 So combining them movements that increase strength, balance, coordination and flexibility makes Tai Chi, Yoga and other similar practices great ways to improve your health. It wasn't that they were all doing it in exactly the same way that struck me - because they weren't - but there wasn't anyone barking out instructions, or anyone correcting their form. 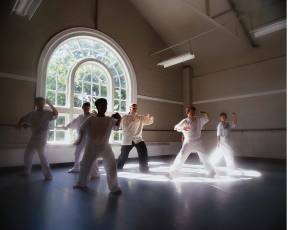 So a few years ago I signed up for a Tai Chi class. I loved (and still do) that sense of quiet peacefulness that comes with those flowing movements. Only problem was that I somehow managed to choose an instructor who was into ‘doing every movement exquisitely perfectly.’ In his mind there was only one way to do right exercise and that meant down to bending even my pinky at a specific angle. Now while there are times when 'form' is important so you don't hurt yourself - this really just felt excessively rigid and unnecessary and robbed me of any enjoyment and peace I felt. I wasn’t doing it to do it perfectly. I was doing it because it made me feel peaceful and wonderful and it was building mindfulness, strength and flexiblility. BUT…when I had to focus on right exercise – i.e. just how, and at what speed, every finger uncurled or lifting an elbow 2 centimeters higher in order to ‘do it right’ it lost all it’s peaceful mindfulness and all it's delight for me. I didn't want to learn how to do it perfectly, I wanted to learn how to do it well enough. So instead of doing it and producing peaceful joy neuropeptides – I found myself doing it with irritation, gritted teeth and stress. This of course means I flooded my biochemistry with with the same ones I did when I hated my body- those ﻿health-eroding molecules of emotion﻿ instead of heath-enhancing ones. I might have been doing something physically ‘good’ for my body – but my mental state at the time was doing an equally good job of undoing that good all because of someone else's ideas of right exercise. Sadly, we have been brainwashed by the idea of being ‘the best’ or ‘correct’ at everything we tackle. What is wrong with having a ‘passable’ workout or a ‘mediocre’ walk or just an ‘average’ cycle? It sure beats doing nothing! And why do you have to 'kill yourself' in order to feel good about yourself? Personally I really think you need to find the right exercise for you. Some people love to run, others hate it but will benefit from walking which is gentler on the joints or swimming which puts no pressure on joints and where body size doesn't matter. Feeling energy-filled and staying injury free is one of the best gifts you can give yourself, so find something where you don't have to worry about doing a 'right' or 'wrong' way unless that happens to be something that works for you. Go on, I dare you… Allow yourself to dance, to cycle or to do whatever else you want just because you want to and don’t worry about how well you do it. That's correct exercise. 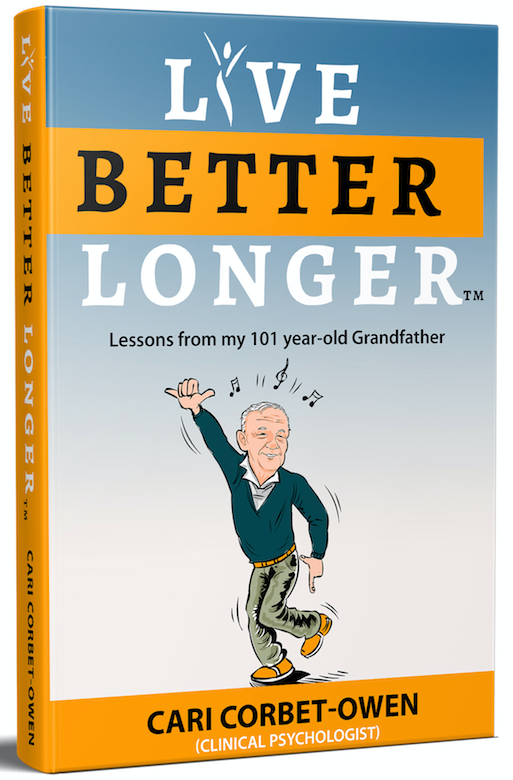 It didn’t take me long to drop that over-the-top correct exercise guru and find a dvd so that I could do Tai Chi at home as imperfectly as I liked. And later I found a group who met in a local park who did fabulous Tai Chi and no-one frowned or yelled ‘ELBOW’ or anything else at me. And you know what… I promise you my body didn’t care about the difference between whether my elbow was 2 cm lower or higher or not when there was no-one to point it out. It's not like it could hurt or injure me. If I want my mind to produce healthy matter I need to have healthy thoughts. Toxic thoughts only produce unhealthy matter. Matter is what my body is made up of. One of my clients has an exercise dvd at home. She’s a busy Mom with three children who all want her attention at once when she gets home. She’s had a busy day and just wants to relax. Her practical solution? She puts on her exercise dvd and her and her 3 boys have 20-30 minutes giggling and laughing to see who can copy the movements in the most silly and ridiculous way. No such thing as doing what is culturally defined as 'correct exercise’ for them. Instead, they do as a family what feels right for them. Your body doesn’t reject silly fun, it revels in it! Promise! This mother gets a stress reliever, she also gets some body-fun, her and her boys have a great bonding experience and get to laugh uproariously and her boys stop being demanding because they get her attention. Now THAT's what I call 'right' exercise! As she says, this works vastly better for her than having to take extra time from her family, and go to an exercise club. She’d go for a while, feel guilty because she’d feel she should be at home. She’d get home stressed and would miss out on all the potential fun. When I was little, body-play was self-directed fun, fun, fun. I skipped as fast or as slow as I wanted and I had not the slightest care in the world about if there was a right way or a wrong way to moving, whether it was aerobic or not, how many calories I burnt doing it, whether I was wearing the appropriate clothes or whether I looked good doing it or not. Now I’m not saying that if you’re into weightlifting that you don’t have to be careful about how you lift, and the same goes for many other structured exercise. But when you’re having body-play which is what we advocate in our Mind over Fatter programme , you can just have fun and relax. 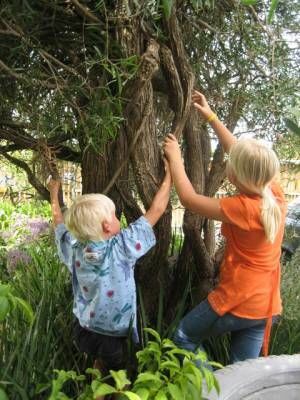 No-one should be able to dictate that you have to climb a tree any particular way, or play ‘on-on’ with any style that makes it ‘right.’ There are not wrongs or rights – there’s just what comes naturally, whats fun and what's sustainable for you. And pssst….. don’t tell all those people that are awfully serious about this whole exercise lark – but I’ve got a new way of defining ‘right exercise’. It’s any kind of movement activity that makes you feel like you want to do it again because it’s fun and because it makes you feel great.